Best price in Ukraine ! 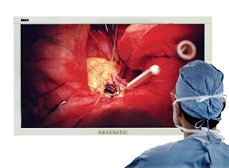 Surgical monitors WIDE - it is a series of medical color monitors with support of high definition video signals, made in a special "surgical" performance (SD - Surgical Display). 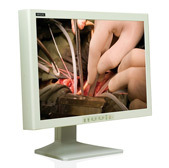 Surgical monitors WIDE monitors provide maximum precision and image quality that meets the highest international standards. Surgical displays SD-series have been designed to provide exceptional demands of modern surgery, such as superior image quality, reliability, ease of using with modern surgical equipment. 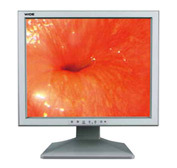 In addition, medical monitors WIDE SD-series (surgical monitors) provide the greater contrast representation of colors associated with a wide range of possible colors (10-bit colors gradation). We are sure that surgical monitors WIDE will satisfy all your needs and equip your operating room with the latest technology.